We can read countless books on productivity and on getting things done, but from time to time something’s gotta give. Mothers can feel as though they should be able to conquer the world, to take things on regardless of how little time they actually have available. Even mothers who are committed to a ‘family life simply done’ do this – knowing that a life scheduled with back to back activity and no gaps of downtime isn’t healthy, doesn’t always translate into living that life 100%. That’s where I am. All of a sudden I have no time. I know it’s a temporary situation, nothing lasts for ever. As someone once advised me ‘and this too shall pass’, because everything does. Experience has taught me that at times like this prioritising is key. But it’s what to prioritise. I’ve had a dilemma this week. I’m a work at home mum and my workload fluctuates. Think ‘peaks and troughs’. I’ve been self-employed for 10 years and it has never been any different, nor will it ever be. I either have too little work or too much, it’s just how it goes. It just so happens that this weekend is my sons birthday (it’s also mine but that’s of less importance). Every year he has had a handmade birthday cake, by my hand. 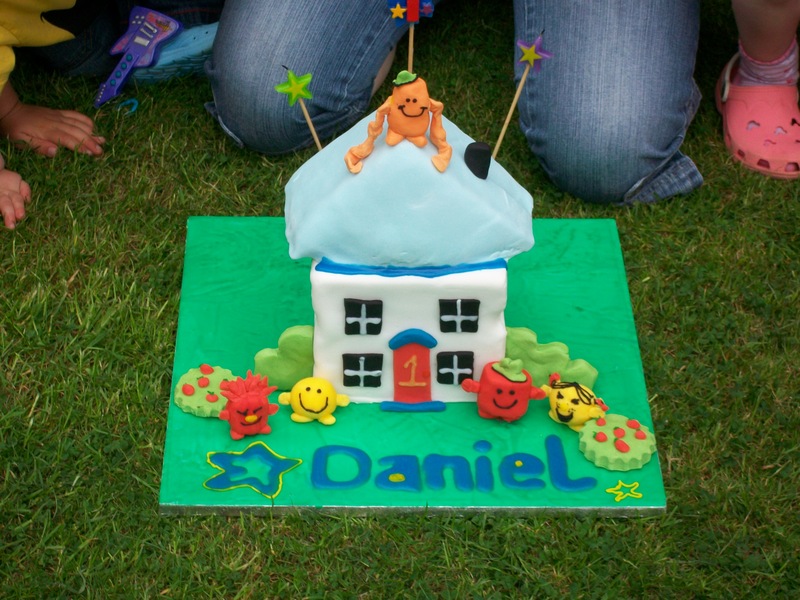 His first birthday cake I was extra proud of, as I had little experience making and decorating cakes, but managed to pull off a Mr Men house with sugar modelled characters (it’s a little rough round the edges but made with love). This is the first year I have bought one. Correction, a friend bought it for me as I wasn’t sure I had opportunity to go and get it myself. Might seem silly to some reading this that buying a birthday cake would cause me such mental turmoil, but as I said it’s what to prioritise. Birthday’s are a BIG thing at Chez Wright. We like to celebrate. A significant part of that celebration is a personal handmade cake. This post explains more. At times however something’s gotta give. As a good friend rationalised with me yesterday – my son won’t be traumatised in later life due to having a supermarket birthday cake for his 8th birthday – even if it does have jam in the middle which he hates (let’s be pragmatic – I can cut round it). All of the above may seem trivial, and that’s the point. Today I’m offering all those mothers out there who really need to cut themselves some slack my encouragement. Not to get caught up in trying to do everything. To take a shortcut where needed and not beat themselves up about it in the process. Hope you and Dan have a fab birthday weekend and try and find the time to have some time for you! Although I read your blog quite regurlarly, I don’t think I ever commenter. Until today… I too, find it difficult to skip traditions once in a while, especially when my kids are involved. Luckily, for my sanity, my husband is there to remind my that “they won’t remember on their wedding day”. I hope you and your son have a great day, with whatever cake you choose to have, as long as it is shared with love. Oh I know that feeling – just being overwhelmed. It’s not a good feeling at all. Things do improve, have faith! Next post: Does Size Matter? Let’s Talk Freezers!